Snails (gastropods) are molluscs that usually have a coiled shell made of calcium carbonate with an opening or aperture at one end. The head and foot (a muscular organ used for creeping over the surface) emerge from the aperture and can be pulled back into the shell for protection. 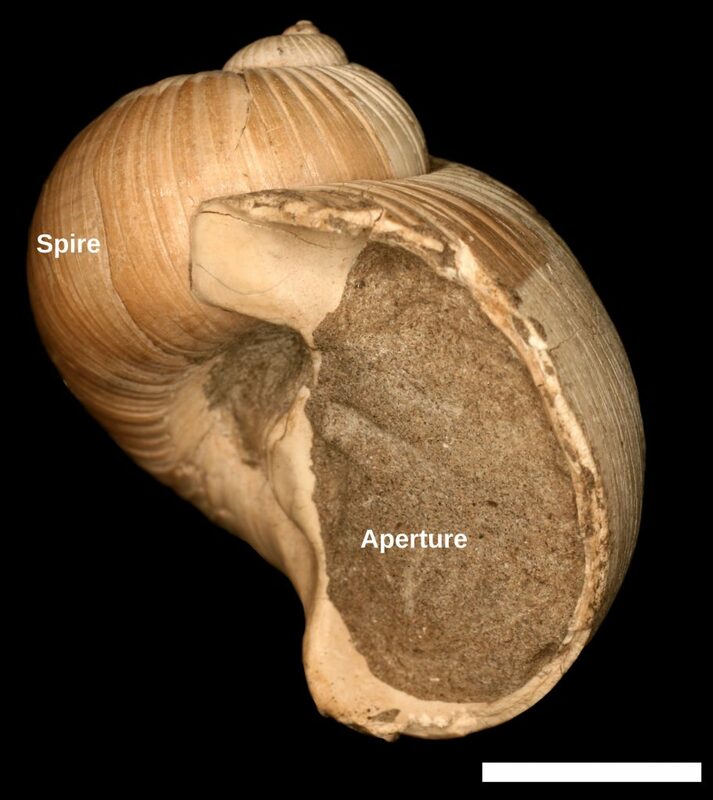 The upwardly coiled part of the shell is called the spire, which varies in height. Snail shells grow by adding new material to the edges, which leaves a pattern of fine lines (growth lines) on the exterior. Many snails are herbivores and others are carnivores. The modern cone shells are venomous and are able to catch and eat small fishes. Snails live on land and in both freshwater and saltwater. 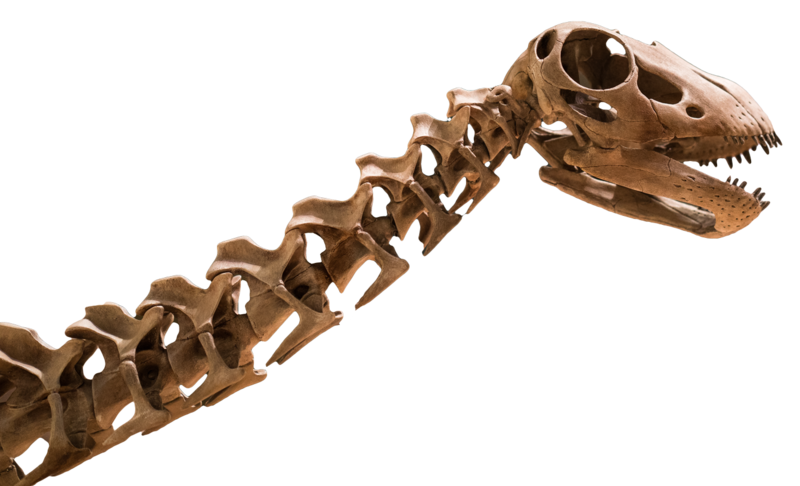 The oldest snails appeared in the Cambrian Period, more than 520 million years ago, and they are common in modern environments. 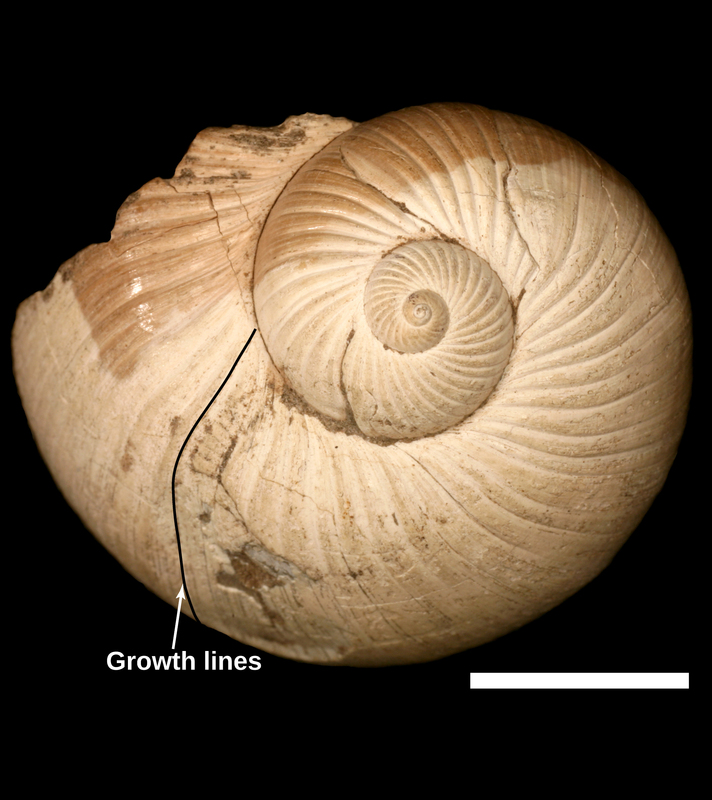 Fossil snails can be found in Ordovician, Silurian, Devonian, Carboniferous, Permian and Cretaceous rocks.